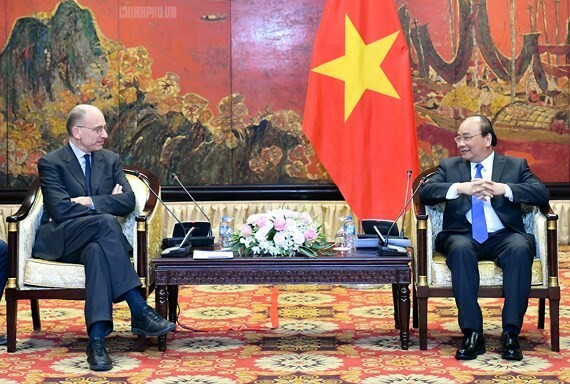 Vietnamese Prime Minister (PM) Nguyen Xuan Phuc yesterday received Enrico Letta, President of ASEAN-Italy Association and former Italian Prime Minister. 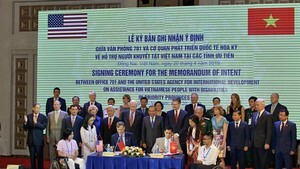 The Vietnamese leader welcomed the third high-level dialogue on ASEAN-Italy economic relations which expected to be held in Hanoi next year, affirming that Vietnam is ready to create favorable conditions for the event. The dialogue is considered as an opportunity in order to tighten economic relationship between Italy and member nations of ASEAN including Vietnam. Mr. Enrico Letta said that Italy always supports and pushes up conclusion of EU- Vietnam Freedom Agreement (EU- VN FTA) earlier.